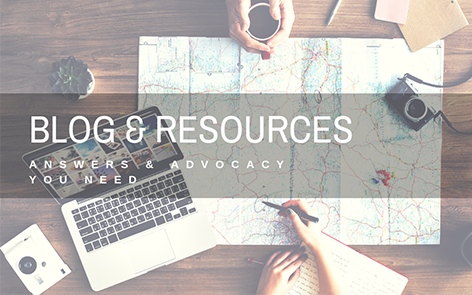 Check out these great blog posts and resources! Encouragement is one of the most profound drivers of human behavior. The word "encourage" comes from the French word encoragier, meaning to "contribute to progress" and "make strong." Interestingly, studies find a strong connection between encouragement, motivation, and resilience. Ultimately, encouragement motivates a child to see themselves and outcomes differently which impacts their behavior, learning, motivation, and self-esteem. So how exactly does encouragement actually shape behavior, build self-esteem, and motivate your child? True encouragement motivates a child's effort and builds resilience (one's muscle memory of achievement so-to-speak). With strong resilience, a child is often more likely to envision a successful outcome, leading to more actual successful outcomes, and thereby driving higher self-esteem and more appropriate attention-seeking behaviors. But keep in mind, seeing a positive outcome is learned—at least in part. So, it's important to build this by encouraging a child throughout a project or task, not just at the end. Moreover, encouragement should be focused on the child's efforts, not just the successful outcome. Studies show that children praised for their effort are likely to be more successful and resilient, realizing that their effort contributes to their success. Moreover, these children are more likely to have "growth mindsets" according to Carol Dweck's research. That is: these children tended to love learning and be particularly good at problem-solving, among other things. On the other hand, children praised for their accomplishments were more likely to value performance over their effort. Thus, these children were more likely to struggle with accepting imperfect performance and—perhaps even more eye-opening—more often contribute their self-esteem to their accomplishments. Encouragement (a type of motivator or 'reinforcement,' as we've discussed) can be as simple as saying "You really worked hard!" or praising appropriate behavior when you see it. For more ideas on encouraging motivation and building your child's resilience, check below for "27 Encouraging Phrases to Motivate Your Child." "True encouragement motivates effort and leads to achievement by building resilience." - Sabrina Shafer, Esq. YouTube Video: Psychology of Success: Praising for "Effort" vs. "Ability"
Thanks for helping set the table—that made a big difference. That "A" reflects a lot of hard work! That's a very good observation. That's a tough one, but we'll try to figure it out. The time you're putting into your homework is really paying off. That's what we call perseverance! You've really got the hang of it! "Our culture is obsessed with technology, and it isn't slowing down with younger generations. Just the other day, my seven-year-old nephew left for a playdate. When asked what they were going to do, he instantly answered 'show me all of his video games.' Of course, how silly of me." There's no getting around it: the world is digital. But that isn't necessarily a bad thing. When used wisely, technology can enable children to learn new skills faster, improve progress monitoring, and ease collaboration across teams! This means home and school programs can be more streamlined, relevant, and individualized to a child's needs. An assistive technology device is "any item, piece of equipment, or product system, whether acquired commercially off the shelf, modified, or customized, that is used to increase, maintain, or improve the functional capabilities of a child with a disability." 20 U.S.C. 1401(1). In other words, assistive technology (AT) can be any tool, including an app or a specialized keyboard. 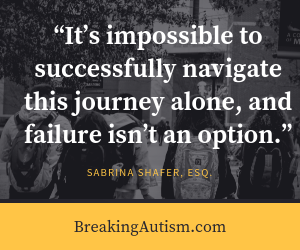 Indeed, the law's broad language allows the IEP team much flexibility in deciding which AT is appropriate based on the child's individual needs. a. One of the biggest disservices to a child is not gaining proficiency in computer skills across the board. b. If we could mandate one skill that had to be addressed from the early intervention stages, it would be incorporating technology skills into a child's IEP or 504 Plan. Nowadays, proficient typing skills and general navigation on a computer or tablet are a must. We find that having a child or teen type instead of hand write can, in some cases, be a huge relief and increase communication skills. This is definitely worth talking to your team about! c. Sometimes a good place to start is with visual schedules. We've found a fantastic app in which you can use real pictures and increase the field as the child improves in their time management and independence skills. Anyone who knows our style knows that we always root for real pictures over drawings, and we're big on combining target skills into one goal—which this example program definitely does! d. Consider learning more about an "Assistive Technology Assessment" and see if it makes sense in your case. Once an appropriate, individualized AT plan is developed, document everything in your IEP. a. There are many programs and apps that keep data for you about targeted skills. b. We're not huge sticklers about the idea that mastery is achieved when a child reaches three correct responses in a row. Instead, we tend to look for consistency (not perfection) with the skill and—perhaps more importantly—generalization across environments and even people. c. Many of these apps log a child's progress and can be accessed across different devices, meaning various people and professionals can track and access the data. This often leads to quicker mastery and generalization. If the same apps are being used from person to person, you'll likely see that programs and skills are taught in a more stable, streamlined way. a. One of the most common concerns we hear from parents is that they don't feel like they have visibility or communication about their child's day or progress, particularly at school. Using technology—such as a tablet that goes between school and home using the same apps and logins—allows for a significant change. For instance, using the schedule app allows parents and school staff to see what the child did. This allows for better conversations and awareness of progress. b. Technology can also be used to drive socially-appropriate conversations. It is a huge advantage to be able to flip through calculated pictures to help drive a conversation, jog a memory, or see what is cool these days. Apps like Bitsboard allow you to create folders of pictures and display them in an assortment of ways. Needless to say, before this tech, teaching these skills was more difficult and involved less success. One of the bonuses of technology is that you can use it to drive socially appropriate skills and video modeling! Consider checking out what apps are cool for the age group and build skills around them. Alternatively, the next time you're looking to shape a behavior, see if there's a good video online for video modeling. This technique works so well! Remember, there is always something you could do better or differently. The key is to start smart and small, and then follow up with consistency. Most importantly, have fun with it! Your input is invaluable. What are some areas you wish you knew about when first encountering the technology or assistive technology area? What are some of your favorite apps? Contact us to share your thoughts.